Want to spend a day in the wilderness? 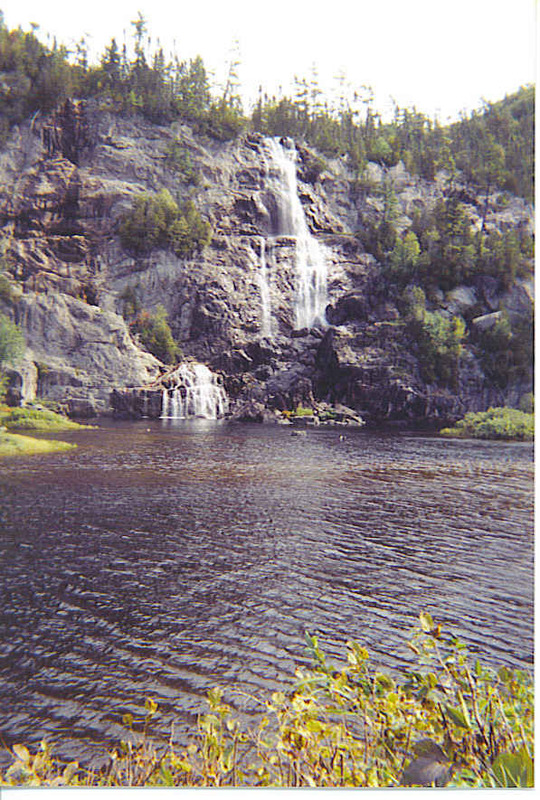 The Agawa Canyon Tour Train will fulfill that desire. Starting early in the morning, passengers board for a one-day rail adventure that leads to the beautiful Agawa Canyon in the heart of the Canadian wilderness. In the upper peninsula of Michigan, Sault Ste Marie is the place to begin. You will first cross the International Bridge into Ontario, Canada where you board the all-day excursion to the back country of Canada. Everyone settles in to watch the scenic view pass by the large windows of the excursion train. Lakes, waterfalls, and many pines give a feast to the eyes as mile after mile of this 228 mile journey relaxes your mind. A knowledgeable tour guide delights travelers with stories of local history, Ojibway, fur traders and explorers. For breathtaking views along the way, monitors throughout the coaches are connected to a camera mounted on the front of the engine. School children wave to the Agawa Canyon Train. 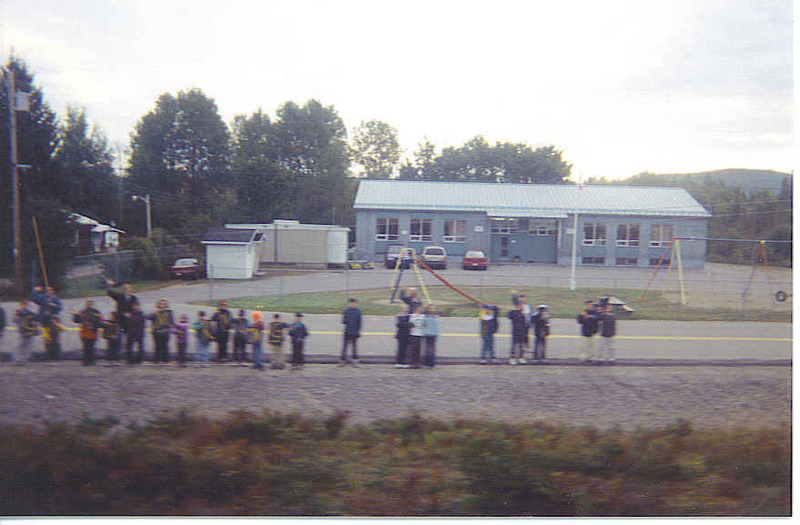 Around nine o’clock, the train gives a whistle as it passes the elementary school where students line the track waving to the Agawa Canyon Tour Train. The guide said the children look forward to this break in the morning, while the teacher attempts to involve them in the history of their area. Although this is a wilderness area, some people still live here. Every few miles the train will stop at a small depot to leave mail and packages. Once in a while, a passenger might board for a ride farther into or out of the canyon. Locals are accustomed to the arrival of the train as the tracks were laid in the canyon during the winter of 1911-1912. Towering trestles provide spectacular views of the valleys below and once in a while you can catch a glimpse of the end of the train as it curves around the valley walls. 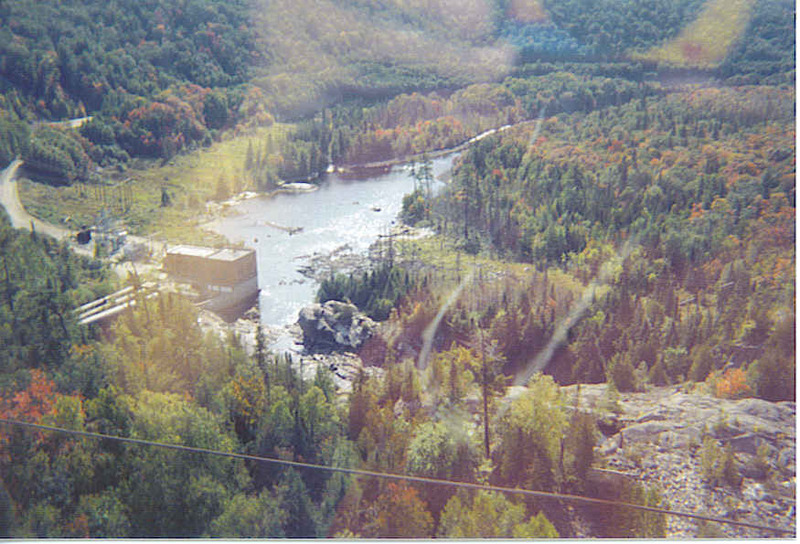 It is thought that Agawa Canyon was created from a fault, which occurred over a billion years ago. At the farthest end of the tour, the train sweeps down to the floor of the canyon stopping at Canyon Park. There are only two ways to reach this spectacular park area : by train or hiking. Great views of the waterfalls appear from the canyon floor, so this is the perfect time to stretch your legs and do a little exploring. The Overlook is a great place for breathtaking pictures while the train stops for about an hour. As you might imagine, there is a Souvenir Car here in case you want to purchase a special memory of the excursion. As you get closer to Agawa River you notice that the color is rather unusual. It has a near rusty color caused by staining of tannic acid, which comes from the roots and bark of the many cedar trees in the area. A box lunch on the way back settles everyone in their turned around seats to enjoy the scenery from another direction. Although many small animals live in this area, none were seen on this particular trip. The larger ones have two reasons for avoiding the canyon: the walls are too steep and the train is too loud. This is truly a day for relaxation and visiting with friends and new acquaintances. For those who enjoy the sound and feel of a train ride, Agawa Canyon Train Tour is a great, relaxing experience.As David P Morgan said, “Things that move are a lot more exciting than things that stand still.” I agree! Agawa Canyon Tour Train can be reached in Sault Sainte Marie, Ontario across the International Bridge from Michigan. Boarding takes place at Bay Street along the St. Mary’s River. The train runs from June – October on its regular daily runs. However, the Snow Train operates only on Saturdays from late January until early March. Check ahead for changes in schedule. Such beautiful country, isn’t it?! Canada has wonderful scenery and the friendliest people. It’s always a pleasure to visit there. We have quite a few Canadian “snowbirds” done here in South Florida and they are always very pleasant. Excellent ambassadors for their country. Just returned from Venice, Florida and found some very friendly people there also.